TOKYO (Reuters) -- Mitsubishi will focus production on Japan, Russia and Southeast Asia after closing its U.S. plant later this year. 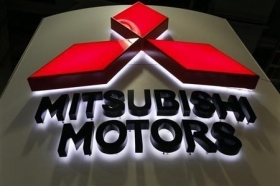 Mitsubishi President Tetsuro Aikawa said the automaker's "main points of production" will be Japan, Russia and nations in the Association of Southeast Asian Nations (ASEAN) trading bloc that includes Indonesia, Malaysia, the Philippines and Thailand. Aikawa was speaking today at a news conference after his company confirmed plans to end output at its sole North American plant in Normal, Ill., and serve the U.S. market from factories in Japan and Thailand. Shares rose more than 5 percent as investors welcomed the switch. The shift comes as Mitsubishi increasingly focuses output in Southeast Asia, where its pickup trucks and SUVs are popular. The automaker currently builds cars in Thailand and the Philippines, and said in February it will build a new factory in Indonesia for vehicles such as its Pajero Sport SUV. Mitsubishi also has a joint venture plant with PSA/Peugeot-Citroen in Russia. Aikawa said the move to close the Normal factory - opened in 1988 as a joint venture of Mitsubishi and its then-partner, Chrysler - was prompted by low-volume production rather than shifts in foreign exchange rates making exports from Japan cheaper. At its peak in the early 2000s, the Normal plant built more than 200,000 cars a year, while in calendar 2014 it produced 69,178 Outlander SUVs. In the fiscal year ended March 2015, the company's U.S. sales totaled 82,000, compared with a global total of around 1 million. Aikawa said today that he thought finding a buyer for the plant would be relatively easy because demand for cars in the buoyant U.S. market was strong. Mitsubishi is still looking for potential buyers for the U.S. plant to preserve jobs for the 900 hourly workers at the plant, the company said in a statement on Friday.